Let's face it, muffins are really little cakes without frosting. I try to avoid them at breakfast, opting for a healthier choice. But when I can't resist, I look for muffins that aren't too sweet, contain some whole grains, and perhaps a bit of fresh fruit. Which brings me to these beauties. Grated pears, rolled oats, a touch of sweetness, oh yeah! They are wonderfully moist and light, made from a batter scented with cardamon and nutmeg. The toasted hazelnuts add a delightful crunch. These may just be my all time favorite muffins. Preheat the oven to 425F. Line a standard muffin tin with papers. These muffins tend to stick without them. Combine the dry ingredients in a bowl. Mix well and set aside. 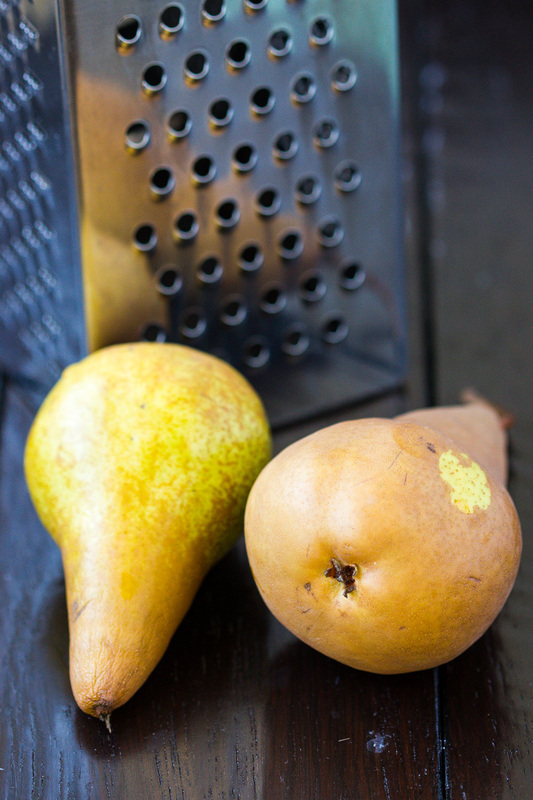 Wash the pears, cut them in half, and remove the cores. 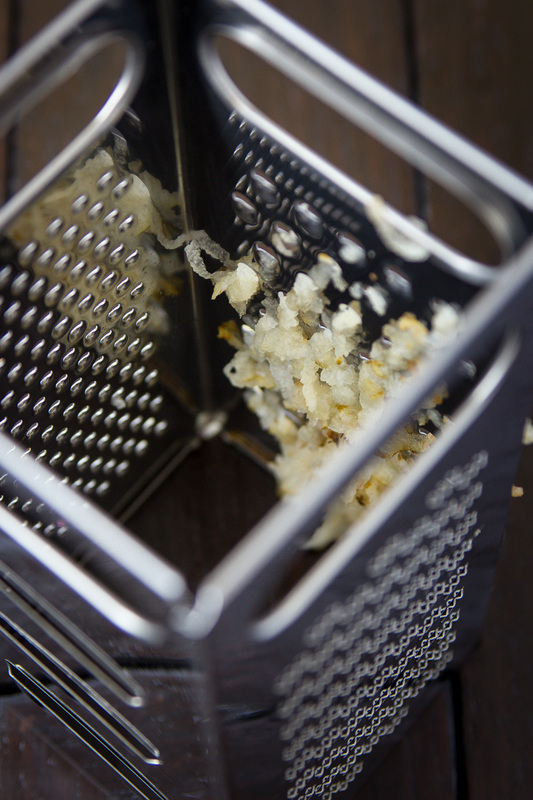 Grate them into a bowl using the large holes of a box grater. You should have about 1 cup of shredded pears. Put the sugar into a large bowl. In a small saucepan over low heat, melt the butter. Add to the sugar and stir until well combined. Whisk in the buttermilk, eggs, vanilla, and shredded pears. Gently fold in the flour mixture, and then 1/2 cup of the hazelnuts. Do not overmix. 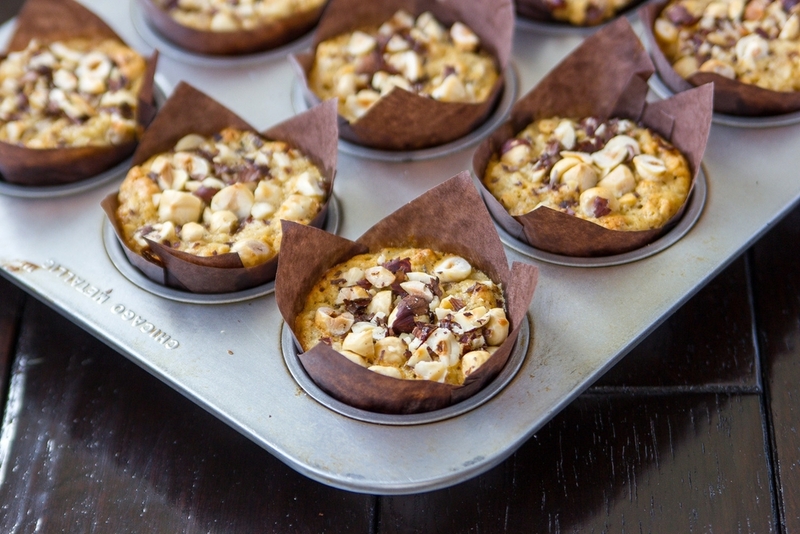 Fill the muffin cups almost to the top with batter and sprinkle the remaining 1/2 cup hazelnuts on top. Place the muffins in the oven and immediately lower the temperature to 375F. Bake until the tops are golden brown and feel firm to the touch, particularly in the center, 25 to 27 minutes. Let the muffins cool in the tins for 10 minutes. Remove from the pan and finish cooling on a baking rack.